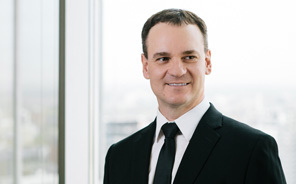 Allan Sawiak joined Kingston Ross Pasnak LLP in 2000. Allan specializes in the area of taxation with a focus on agricultural tax, family farmland and estate planning, as well as government agricultural programs. His expertise involves helping owners through different stages of the business cycle including acquisitions, divestitures and succession planning. Allan shares his knowledge as much as possible by presenting at numerous farm tax conferences, including Farm Tech 2018 which hosted more than 2,000 attendees. Allan focuses on corporate and partnership reorganizations, mergers and acquisitions, as well as income tax compliance; both personal and corporate. He also assists clients with estate and tax planning for owner-managed companies as well as personal and corporate tax planning for family farm operations. Furthermore, Allan has conducted presentations on numerous tax topics to clients, staff, various financial institutions, farm organizations and the general public. He also supervises personal and corporate tax returns for farm clients as well as special farm programs eligible for family farm operations. During 2017, Allan spearheaded a farm tax lobby movement against the July 2017 proposed federal tax changes by summarizing how the changes affected family farms across Canada. Allan remained in close contact with various farm groups such as the Canadian Federation of Agriculture to further the lobby movement until changes were made to the proposed tax changes. Restructured farm corporations and farm partnerships for various purposes including minimizing income taxes, planning divorce settlements, preparing for tax-effective sale of farm operations, estate planning, utilizing the capital gains exemption and maximizing government funding available under farm programs. Completed crystallization techniques to make use of the capital gains exemption for individual land owners active and inactive in family farm operations. Determined specialized planning to assist family farming corporations to be transferred to next generations. Assisted farm family members to minimize tax on death, as well as take advantage of the capital gains exemption of minor children. Restructured corporate groups before and after share and asset sales to reduce and defer taxes on sales. Completed a butterfly transaction allowing ownership of a corporate group to be divided on a tax-deferred basis between divorcing parties. Restructured corporate groups to maximize small business deductions and enhance creditor protection. Implemented estate freezes for corporate shareholders to transfer future growth to next generations while maximizing capital gain exemptions through family trusts. Prepared, reviewed, and supervised compliance fillings for testamentary and inter-vivos trusts. Conducted pre- and post-mortem tax planning to minimize taxes for an estate and beneficiaries with techniques involving life insurance, specialized and capital gains exemption planning, winding up corporate entities, and other corporate reorganizations. Represented taxpayers to Canada Revenue Agency during audits and appeals, including the preparation of Notices of Objection. Completed tax-effective strategies to reduce taxes on owner-manager compensation.